If you're anything like me you'll pick up a pencil and use it to mark your measurement. Then later you'll go looking for you pencil and realize you've misplaced it. 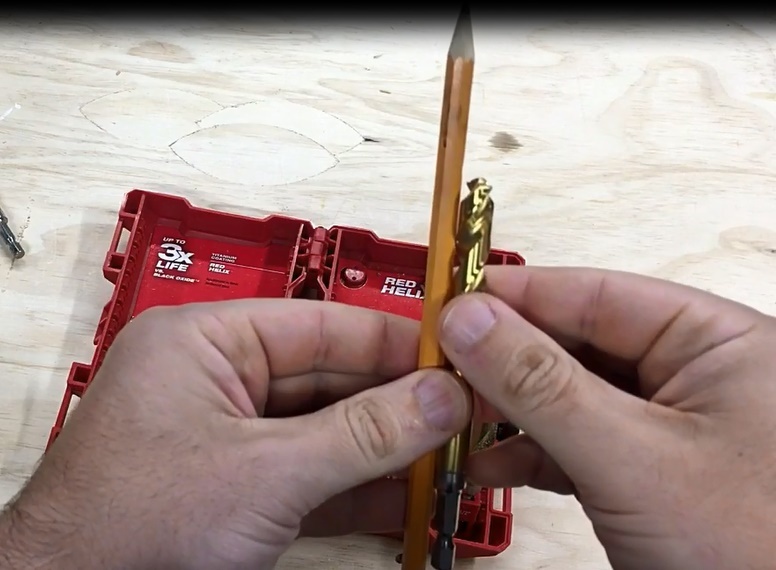 Try using one or any number of these 4 tips for always keeping a pencil handy in the workshop. Pick a drill bit which is larger, but not too much larger, than your pencil. In this case I have a No. 2 pencil and am using a 3/8" drill bit. Drill a hole somewhere in a workbench, cabinet, or anywhere else easily accessible. Make sure it's deep enough to store you pencil but not so deep that you can't get it out. The second hack involves using a cable clip with a nail...these cost about 5 cents each. Pull out the nail and flip it around to the other side of the clip, then attach it to your workbench. I actually use this one and have these in several places around my workshop...I just need to remember to put the pencil back. This third one is similar to the cable clip except it involves a screw eye and a nail. Thread the screw eye into the eraser of a pencil. 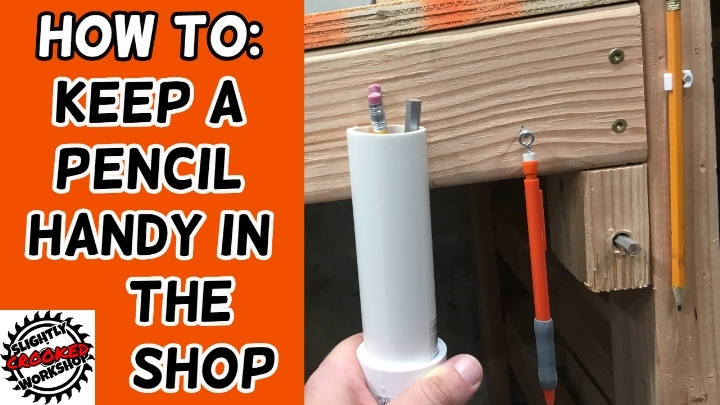 Attach a small finishing nail to something in the shop and you've got a place to hang your pencil. This last one makes the most sense but can tend to get in the way, or be kept out of the way making it less accessible. Take a 1-1/4" PVC pipe and trim it down to size. Put a cap on the end and secure it somewhere in your shop. I've seen them glued, cut at an angle so they can be screwed to a surface and secured with a velcro strap. The biggest benefit to the PVC pipe is that it stores multiple pencils, pens or markers depending on what you need. I always keep a silver welding pencil handy for darker woods such as paduk or walnut.